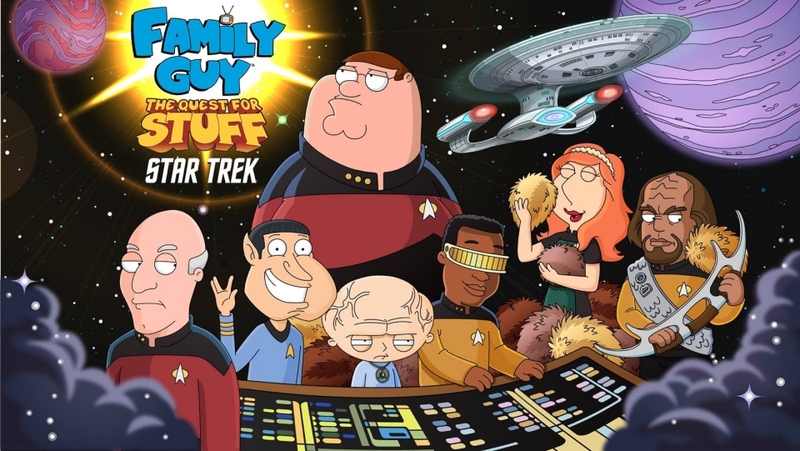 Join the denizens of Quahog as they collide with the cast of Star Trek for a raucous race to save humanity! 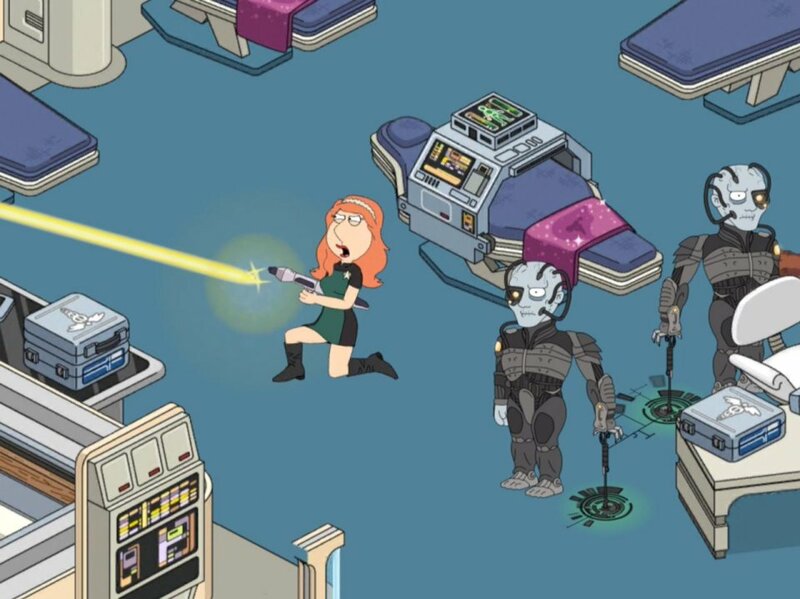 After sustaining heavy damage from the Borg, the USS Enterprise and its crew set an emergency course back in time for Earth, year 2015. The Enterprise’s Commander William Riker infiltrates Quahog on a mission to protect baby Stewie – whose future self creates technology which threatens the Borg’s very existence. With baby Borg Bertram in hot pursuit, Riker enlists Family Guy, Peter Griffin, to repair the Enterprise, save the crew, and protect the future of Mankind… oh, and Stewie too. Players will explore the USS Enterprise, visiting reimagined versions of iconic locations like The Bridge, Holodeck, Sickbay, Engineering and more. Throughout their exploration, players will meet and unlock The Next Generation crew including Captain Jean-Luc Picard, Lt. Commander Data, Lieutenant Worf, Chief Engineer Geordi La Forge, and more – with voices from the actors of the television series. 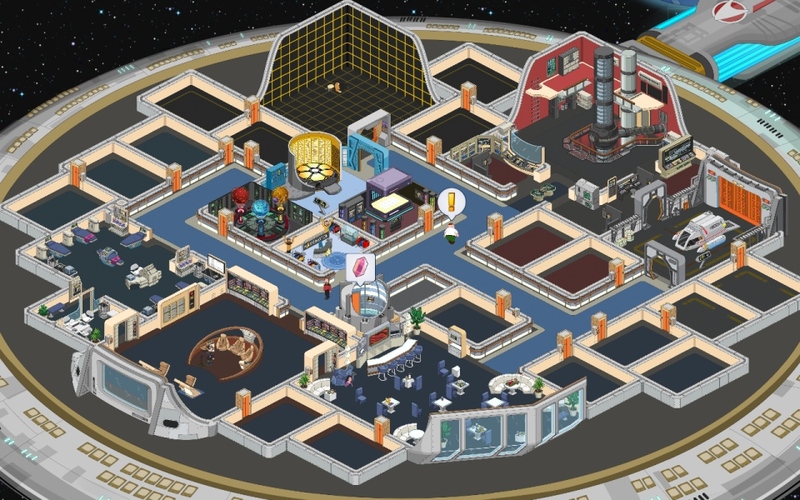 Extending the adventures to the edges of known space, players can send away teams on exploratory missions to other planets, collecting resources and rewards. 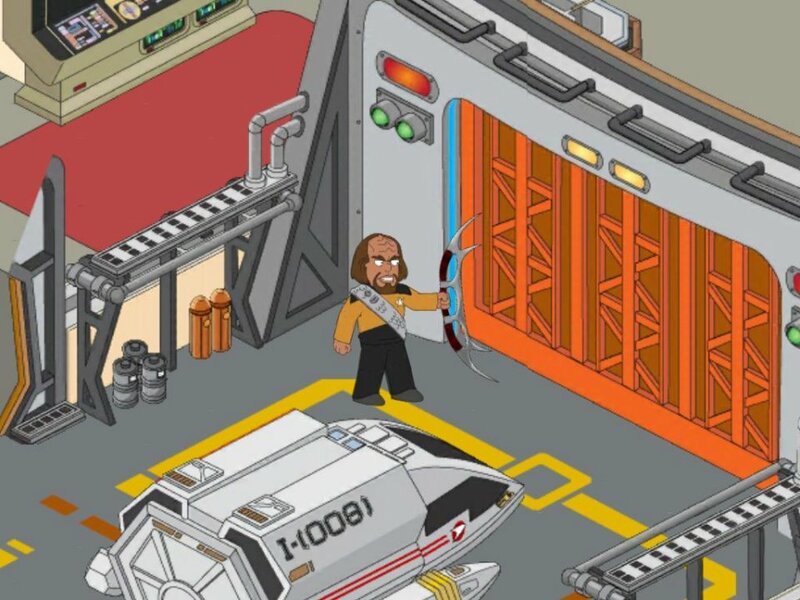 Back on the Bridge, give enemies “all she’s got!” using photon torpedoes to blast enemies and debris into deep space. 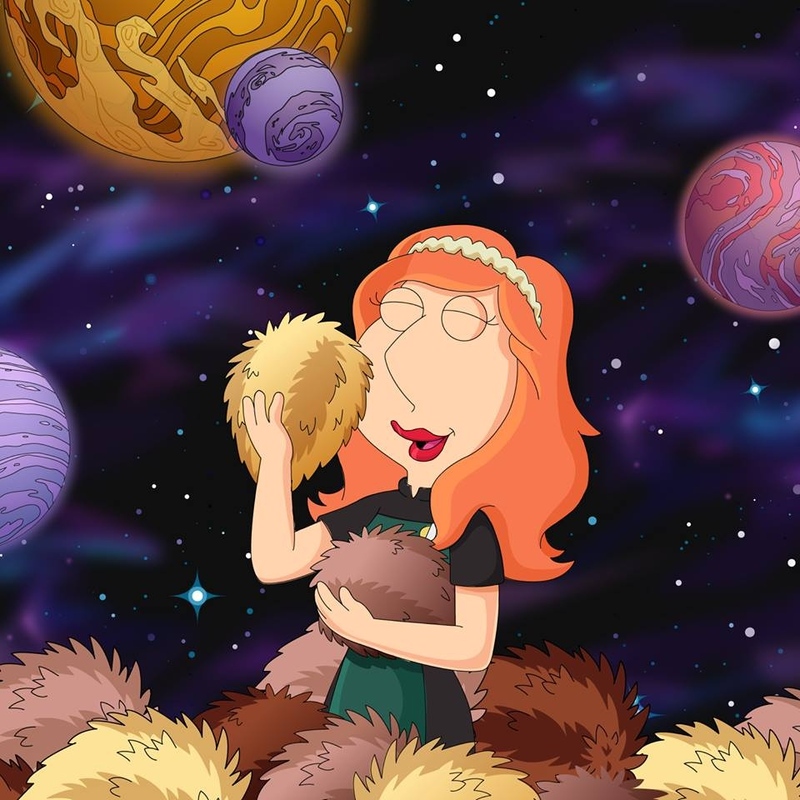 Other epic fights pit players against the warp speed-reproducing Tribbles, who are choking Quahog’s communities. Take a turn in the Captain’s chair and equip the deck for the final face-off with the Borg and prepare to rendezvous with the biggest names in Starfleet, including the one and only Captain James T. Kirk! This is my kind of game. More content will be added each week as you work to unlock cool new features and characters. 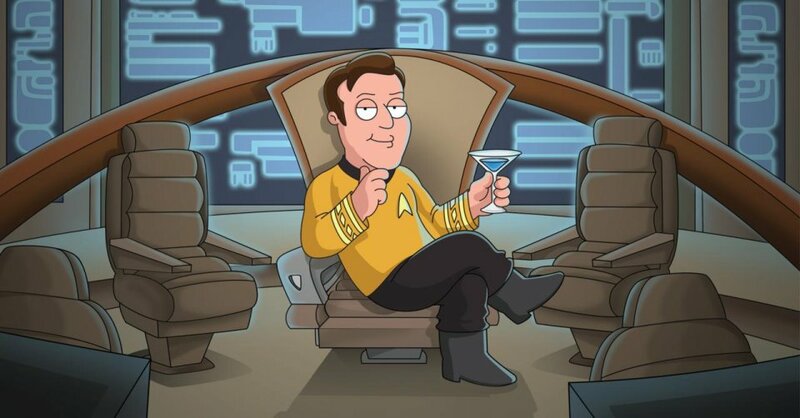 Get Family Guy: The Quest for Stuff via Apple’s App Store, Google Play and Amazon’s Appstore. The Star Trek event will be open until the end of April.